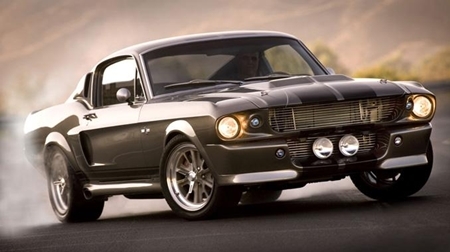 A 1967 Ford Mustang used in the 2000 film Gone in 60 Seconds has sold for a staggering US$1 million. This Mustang was one with a movie history, being the famous ‘Eleanor’ Mustang driven by actor Nicolas Cage in the movie’s closing stages. As is common with shooting movies, several models looking the same were commissioned. Eleven of the fictional Eleanor Mustangs were created for the movie, although only three of these were working cars, and two of those were destroyed during filming. This one was Cage’s primary ‘beauty’ car, used mostly for close ups as well as promotional efforts. The car was sold during the Dana Mecum 26th Original Spring Classic Auction in Indianapolis last week. No details about the auction’s winner were announced, though the price paid is not at all unexpected given the car’s fame as well as its pedigree. Though not an original Shelby, the Eleanor Mustang was based on a 1967 Ford Mustang fastback and was built by Cinema Vehicle Services with the help of legendary coachbuilder Chip Foose. Key features of the car are its central-mounted driving lights, pumped fender flares, and unique hood and trunk. Power comes from a 351 Ford V-8 crate engine, rated at 400 horsepower. Other specifications include a four-speed manual transmission, lowered suspension with coil-overs, 17 inch wheels shod with Goodyear F1 tires and a faux nitrous kit. Included in the sale was certification of the vehicle’s authenticity from the company responsible for building it as well as a special plaque that includes the VIN. Interestingly, this is the second time in five years that this particular Eleanor Mustang has come up for sale. The fuel oil crisis. Winners and losers. Useless technology – that drivers don’t use!